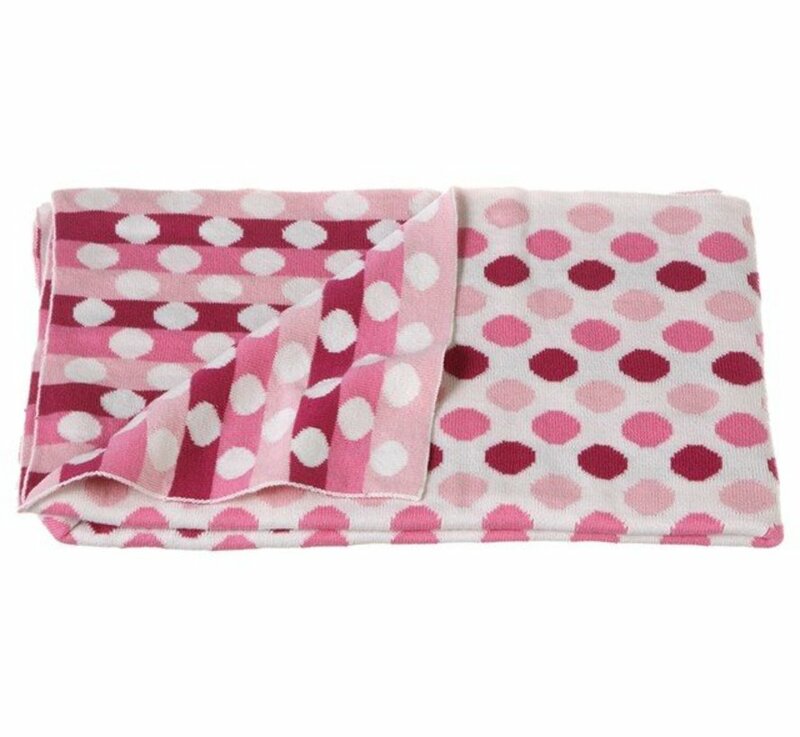 Size: * 36" x 40"
This Knit Dot Blanket will be your newborn's favorite snuggle buddy. 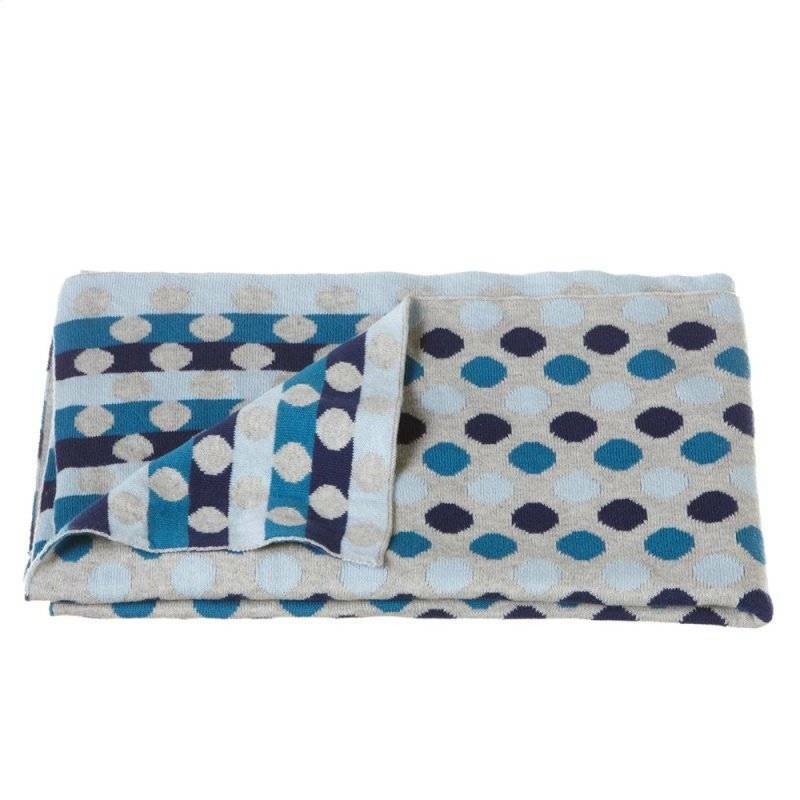 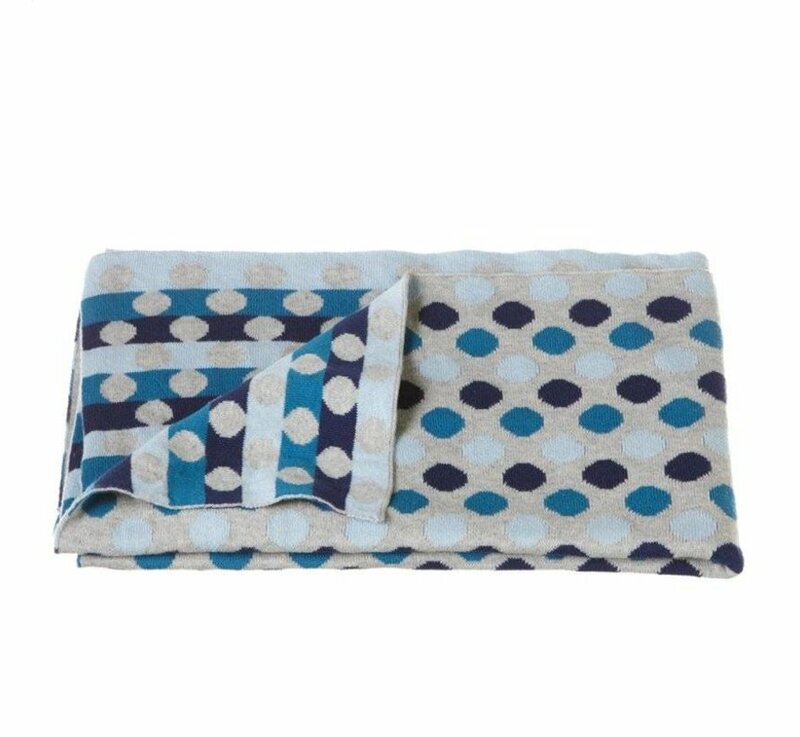 This white and multi-toned blanket features a delightful polka dot motif that will be an easy and charming addition to any nursery. 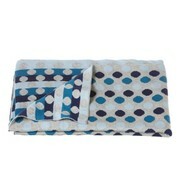 Measures 30 inches wide and 36 inches long.